Areas of Interest: second language acquisition and teaching; linguistics and psycholinguistics; benchmarks for French as a second language; spoken Esperanto; multicultural communication; multilingualism; phonetics. Profile: Dr. Natalia Dankova is a professor of linguistics at the Université du Québec en Outaouais (UQO), Canada. She completed her doctorate in language sciences in 1997, in Paris. 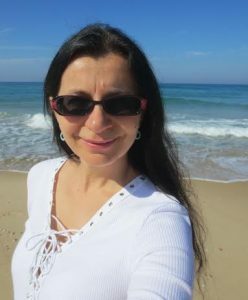 Natalia Dankova publishes scientific papers concerning the second language acquisition and teaching, psycholinguistics, variation in French, spoken Esperanto, multiculturalism. She is the first author of Canadian Benchmarks for French (Gouvernment of Canada). Interesoj: dualingva lernado kaj instruado; lingvistiko kaj psikolingvistiko; niveloj por la franca dualingvo; parola Esperanto; multkultura komunikado; multilingvismo; fonetiko. Profilo: Dr. Natalia Dankova estas profesorino de lingvistiko en Université du Québec en Outaouais (UQO), Kanado. Ŝi doktoriĝis en lingvistiko en 1997 en Parizo. Ŝiaj esploraj interesoj fokusiĝas sur dualingva lernado kaj instruado, psikolingvistiko, variado en la franca lingvo, parola Esperanto, multikulturalismo. Natalia Dankova estas la ĉefa aŭtorino de Kanadaj niveloj por la franca dualingvo (Registaro de Kanado).